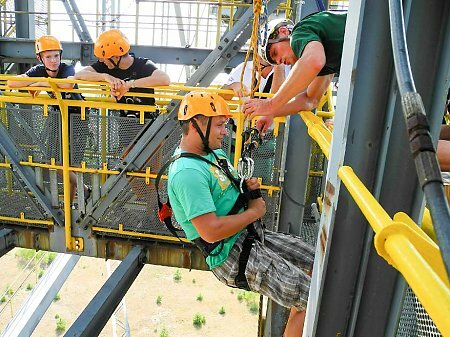 Are you adventurous and thrill-seeking? Do you like challenges? Or do you want to give someone a very special present? You should then think about roping from the F60. After a small introduction, our guides will accompany you to the point from which the roping procedure will start. 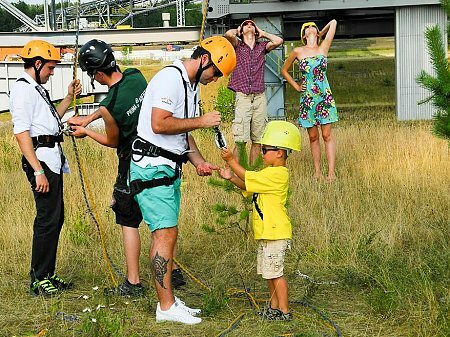 Here our team will give you all the necessary instructions, equip you with the climbing gear and make sure that you can abseil down the F60 the safest way possible. While roping, our guides provide you with all the help and support you need so you can fully enjoy this special experience and the adrenaline rush. Please register for one of the dates above (also if you have a voucher). When registering, we will tell you the specific start time. If you are a group of 10 or more, you can register for an appointment of your own choice. For mining law reasons it is not possible for accompanying persons to join the group. For accompanying persons we have a special offer. You can take part in a special guided tour. 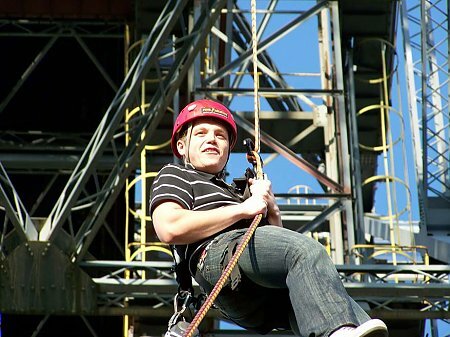 One of our guides will lead you to the spot where the abseiling takes place. 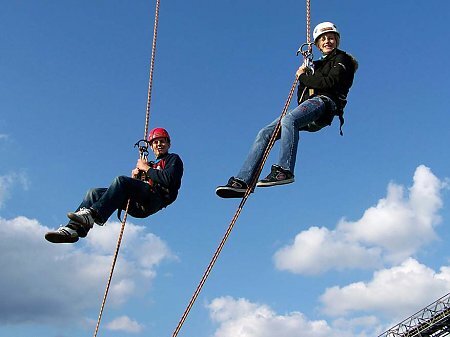 There, you can watch the whole process of abseiling and welcome the participants when reaching the ground again. Of course you can take photos or film the abseiling process. The prices for this special tour equal the prices of the normal guided tours. You can decide whether to take part in this special tour, when you arrive at the visitor mine. The team of Prima Abenteuer reserves the right to themselves to cancel dates due to weather conditions (gale, thunderstorms, heavy rain) or insufficient bookings. We will inform you in good time in advance.